For many of us, the chance to see what goes on behind the scenes at any zoo or wildlife park would be something beyond our wildest dreams! But now the opportunity to do just that is on offer, and could be a great gift for any animal lover who really wants to have the chance to talk to staff, meet some of the animals & get stuck in for the day. PLEASE read the key info or notes for each experience before you buy - many have age restrictions for instance. 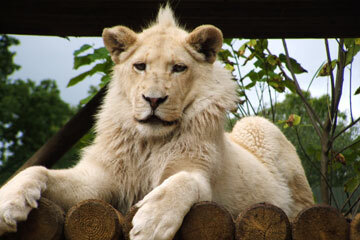 Buy a Gift now offer a Zoo Keeper for a Day choice voucher, available at four zoos across the UK. You’ll spend a the day learning about the life of a zoo keeper, from preparing food and feeding the animals to devising activities and mucking out the enclosures. What a chance to learn about some of the world’s most interesting and incredible creatures! Your voucher is valid for 10 months. Click here to go to Buy a Gift to treat an animal lover in your life to this amazing gift. This experience is also available at the weekends for £350 from Virgin Experience Days. Click here to go to Buy a Gift to treat the animal lover in your life to this gift. Go to Virgin Experience Days to treat someone to this treat for animal lovers! Meet the keepers and start helping them out with daily tasks to care for the animals, such as mucking out and preparing food. You'll have an off-road tour of the animal reserves with an experienced ranger, and a chance to visit the bigger animals before getting hands-on experience with some of the animals living around the foot safari. Head for home with an ‘Animal Keeper’ certificate as a souvenir of your day. You can stay after the experience and explore the other public areas of the park until closing time. Head to Virgin Experience Days for more information. Get up close and personal with a range of animals as you become a zoo keeper for the day at Shepreth Wildlife Park. Get stuck into cleaning enclosures, feeding animals and making sure they are entertained and happy. Look after meerkats, lemurs, otters, bugs and invertebratges. You'll receive entrance in the wildlife park, waterworld and bug city, and take home a t-shirt, certificate, animal photo of your choice and lunch. Go to Activity Superstore for more information.